Bridal Showers, Pre Wedding Dinners, Weddings, Baby Showers, Dances, Class Reunions, Conferences, Fundraisers, Conventions, Seminars, Meetings, Funeral Brunches, we can cater to your needs. 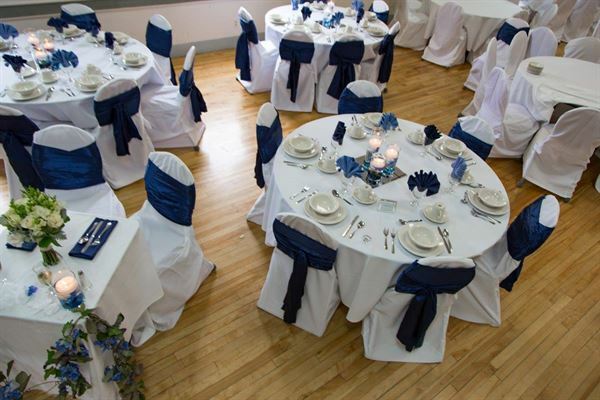 From 25-350 we have the space for all occasions. For events of 126 or more your room rental fee will be waived. Call us and let us help you plan your next event. Perfect For Small Groups - Capacity Based On Set Up. Half Day Rate | $175 Full Day Rate | $350 Choosing From Our Buffet Or Plate Service Menu Will Waive The Hall Rental Fee.